Welcome to 2017 and my first visitor of the new year... Dee Davis with her delightful COTTAGE IN THE MIST. 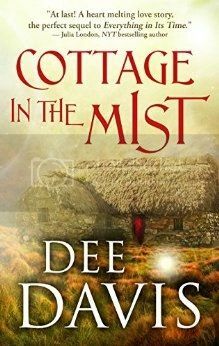 To celebrate the release of COTTAGE IN THE MIST, Dee is offering a $10 Amazon Gift Card to a lucky winner. Scroll to the end of the post for details as to how to enter the #Rafflecopter Contest. Mo Chridhe Gu Bràth. My heart forever. Lily Chastain has lost everything—her family, her inheritance, and her fiancé. Desperate to escape her pain, she heads for a remote castle in Scotland, but is trapped by a violent storm along the way. Injured and alone, she is drawn by a lighted cottage in the mist. What she finds there will change her life forever. Attacked by a vicious rival and betrayed by someone from his own clan, Bram Macgillivray finds himself alone and on the run. His father is dead, his holding all but destroyed. Wanting vengeance, he seeks out the help of his cousins, but finds instead a beautiful woman who calls to his heart. After losing herself in an unexpected and wonderful night of sensuality, Lily wakes to find Bram gone. But even more disturbing, when she leaves the sanctuary of the cottage, she finds that it has disappeared as well. Separated by over five hundred years, yet tied together through a magic stronger than the bonds of time and place, Lily and Bram fight to find each other again. And as Lily uncovers the secrets of the past, she must race to find a way back to save the only man she’s ever truly loved. There was danger. Bram could feel it all around him. Fire raced up the wooden steps that lead up to the door leading into the tower. And he could see more flames thrusting out of the windows, black smoke spiraling into the night sky. Throwing his plaid over his face, he ran up the steps, but was stopped by one of the tower’s guards. The man raised his claymore, his eyes narrowed as the deadly blade began its descent. Bram pivoted, and then swung his own weapon, confused as to where he was and why he was fighting. The man fell, only to be replaced by another. Bram called to him, some part of him recognizing a face that still seemed a stranger, but this man, too, seemed intent only on stopping him. His mind argued that nothing made sense, even as his heart screamed that he must get inside. If he did not then that which was most precious to him would be lost. He knew this as surely as he drew breath. With a twist and a parry he drew the man off, and then made quick work of him, dashing through the opening of the tower, down the hallway and into the great hall. A place meant for comfort it offered only danger now. It too was full of flame, and lined with enemies. Again the thought brought him up short. But there was no time to try and understand. Fear pushed him forward. He surged into the fray, moving toward the stairway at the far end of the room. It gave access to the chambers above and it was there he knew he would find her. His brain recoiled. Find who? But his heart urged him forward, and he fought his way to the bottom of the steps, then ran up them, taking them two at a time, knowing the other swordsmen were fast on his heels. At the top he froze for a moment, the thick smoke disorienting him. The fire was much worse here. Pushing forward, he breathed through the heavy wool of his plaid, keeping sword at the ready. The first chamber was empty. As was the solar and the chamber beyond it. But then from down the narrow hallway he heard a cry. Heart thundering in his ears, he ran through the flames and smoke. A timber fell, glancing off of his shoulder, and he hardly felt it, the need to find her overriding everything else. He called for her, his voice swallowed by the raging fire. Another timber fell, and a wall collapsed. He jumped across a gaping hole in the floor, landing hard, but still moving. The doorway ahead was edged in flames, the smoke and fire roiling like some kind of evil spirit. Ignoring the danger, he sprinted forward, through the opening, again calling her name. And then, through the shimmering heat, he saw her, tied to the bedframe, her long hair unbound, her green eyes wide with fear. But he pushed onward, stumbling as still more of the burning tower fell. “I’ll no’ leave you.” His words were whipped away by the inferno surrounding them. But he knew that she had heard him. There were only a few feet between them now. There was bruising on her face, and a trickle of blood at the corner of her beautiful mouth, and he swore there would be hell to pay. But first, he had to free her. He reached out a hand, but as he did so, the ceiling above him crashed to the ground. One moment he was looking into her eyes—and the next, she was gone. Bestselling author Dee Davis’s highly acclaimed first novel was published in 2000. Since then, she's won the Booksellers Best, Golden Leaf, Texas Gold, Golden Apple and Prism awards, and been nominated for the National Readers’ Choice Award, the Holt and three RT Reviewers Choice Awards. 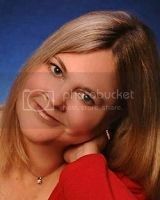 She is the author of over thirty novels and novellas and is an honor roll member of NJRW. When not frantically trying to meet a deadline, Dee spends her time at her Connecticut farmhouse with her husband and Cardigan Welsh Corgis.